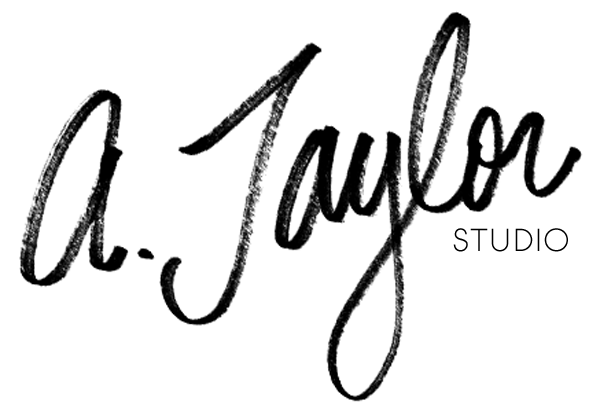 I am SOOOOOO excited to share some snippets from my first ever A. Taylor Studio wedding! 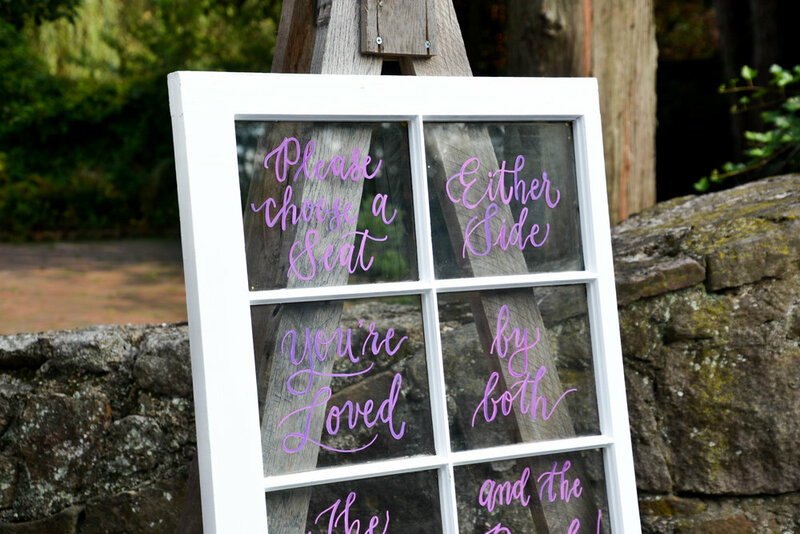 If you told me a year ago that I would be working with brides to create rustic, custom calligraphy...I would've dismissed it in a second (with giddy confusion). Who, me!? Well, it turns out, with the help of some friends and networking, I am so happy to say that my first large-scale calligraphy wedding project is now in the books. And the best part: the bride (who is the BEST client everrrrr) let me sneak to the venue before the ceremony to check out the beautiful estate grounds and some of my work on display. 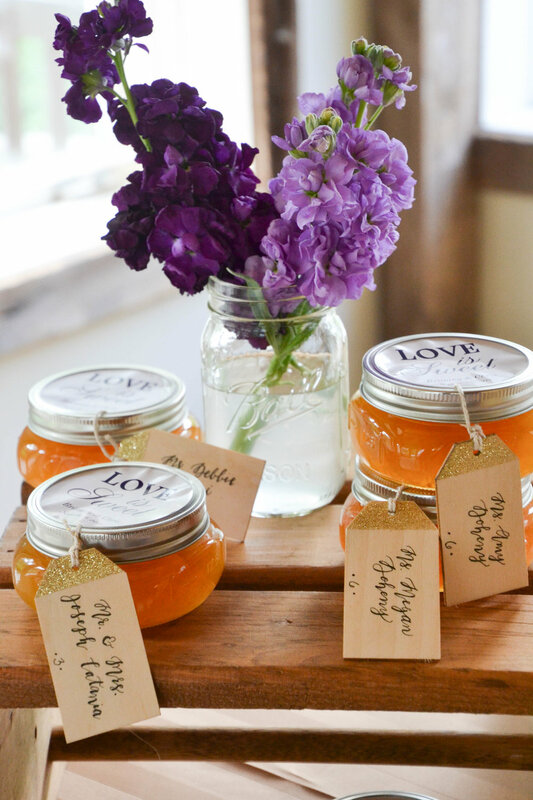 This bride, B, had amazing taste for her rustic wedding. Homemade peach preserves, votive candles, soft shades of lavender, whispy details...all of it culminated into a beautiful, soft, magnificent atmosphere. B incorporated a lot of handmade wooden signs into her wedding to add a countryside charm to it all. The color scheme (plum and gold) really complemented the rustic wooden touches. It added somewhat of a regal feel. During the creation process, we had discussed lots of details about the right shades of purple, when to use white, when to use black...B stuck with me the whole way and put up with all my incessant, nitty-gritty questions! I think the ceremony, which is going on as I type this, is going to be just so elegant and classic with that genuine homegrown feel. Seeing all of the placecards, welcome signs, and other pieces scattered around the venue was so personally rewarding. Even more so, the entire grounds had a sweeping sense of the special couple, every detail representing something important about them both. p.s. check out my full calligraphy portfolio!